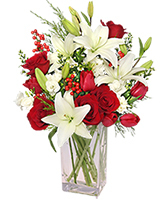 An elegant holiday arrangement of tulips, lilies, roses, 'Monte Casino' in a tall clear vase with assorted holiday greenery. 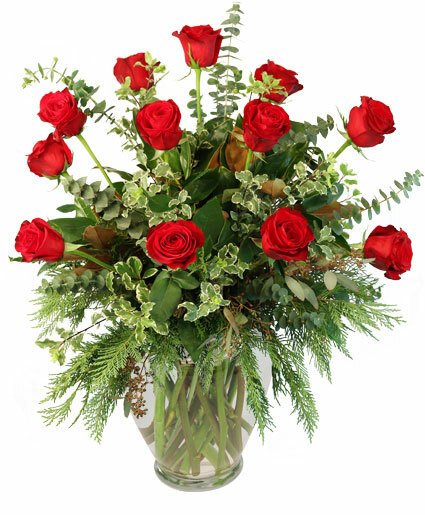 All you'll want for Christmas is this amazing centerpiece! 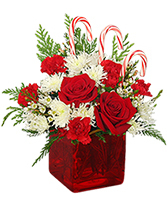 Red gerberas combined with white spider mums, green hypericum and glistening red balls are sure to warm your table on even the coldest winter days.